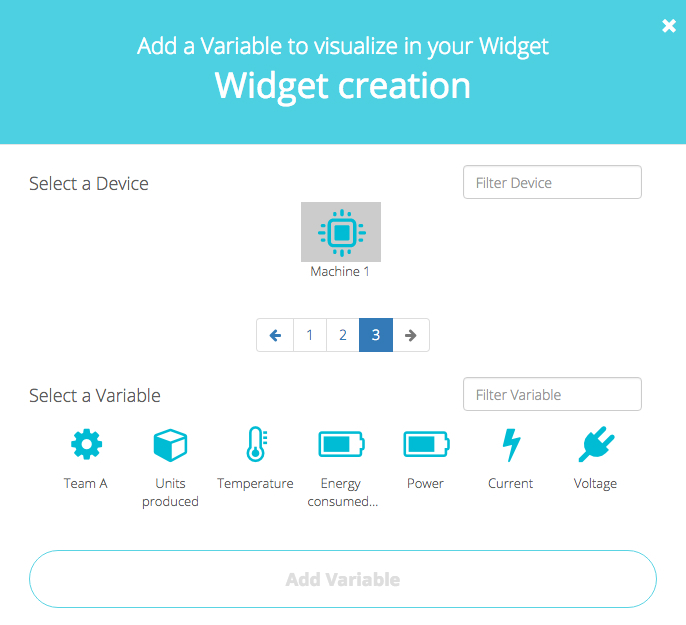 Every time you create a new widget, there is a default icon assigned in the upper right of your devices' variables. This icon is a simple visual reminder to they type of sensor you are working with (energy, thermometer, graph, directional, etc.). To change this icon from the default cloud, go to Devices and open the device whose icon you look to adjust. Each variable has a default icon displayed, regardless of grid or list view displays. To change, Double click the icon and select a new icon to display. Note that the new icon will display when creating a new widget.